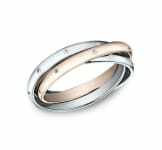 This elegant 6mm comfort-fit Tungsten band features a satin-finished center and high polished beveled edges that is the perfect balance of style and class. This elegant Damascus Steel 7mm comfort-fit band features a powder coated finished center and high polished beveled edges that is the perfect balance of style and class. 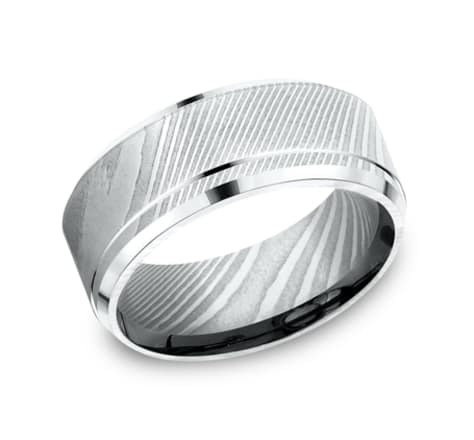 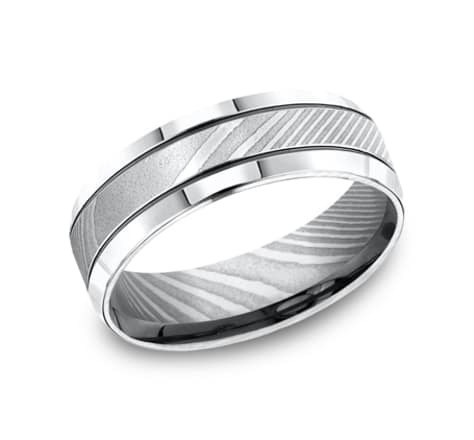 This unique Titanium 7mm comfort-fit satin-finished band features a beautiful high polished beveled edge. 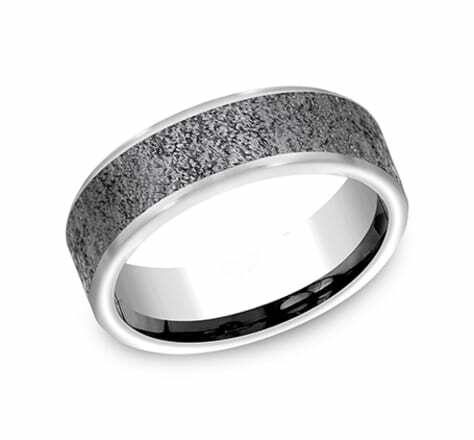 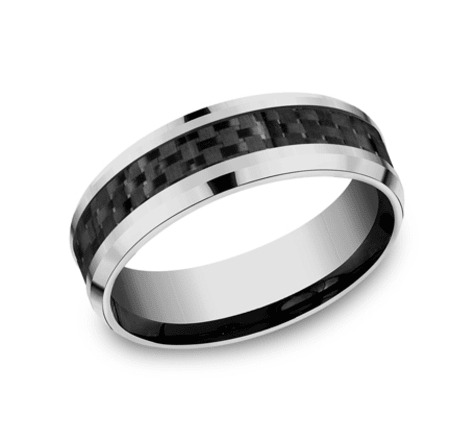 This unique 7mm comfort-fit Tungsten band features a carbon fiber center inlay with high polished beveled edges that is both sleek and subtle. 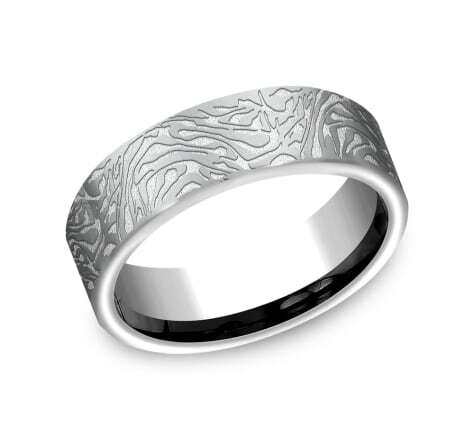 This classy and elegant 6.5mm Damascus Steel band features a slight flat surface and offers Comfort-Fit on the inside for unforgettable comfort. This classy and elegant 6.5mm Grey Tantalum band features a slight flat surface and offers Comfort-Fit on the inside for unforgettable comfort. This awesome 7mm concaved Tungsten band features a satin-finished center with polished edges and a comfort-fit on the inside. 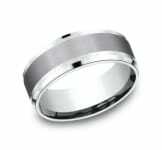 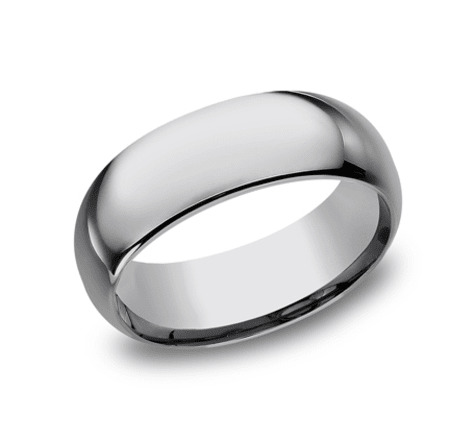 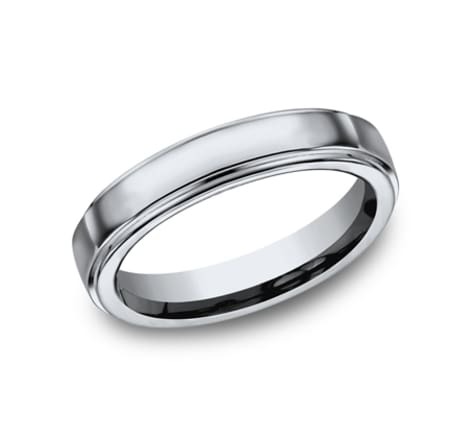 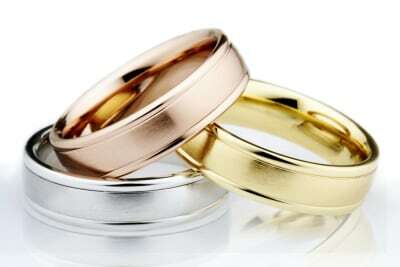 This cool satin-finished 7mm Tungsten band features a comfort-fit on the inside and a high-polished flat edge. This cool 7mm Tungsten band features a comfort-fit on the inside and a flat exterior for a more traditional look. 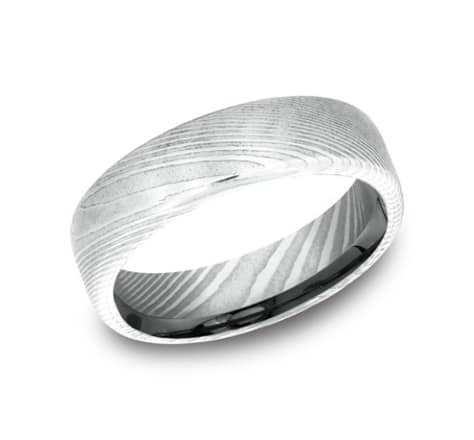 This awesome 7mm high-polished Damascus Steel band features two horizontal blackened cuts along a satin-finished center and beveled edges. This popular 8mm comfort-fit Tungsten band features a satin-finished surface with a high polished round edge that exemplifies subtle, yet impeccable style. This unique Titanium 6mm comfort-fit satin-finished band features a high polished center trim. 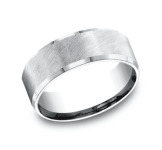 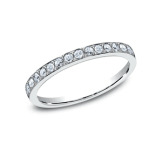 This unique 6mm Tungsten comfort-fit satin-finished band features a high polished center trim. 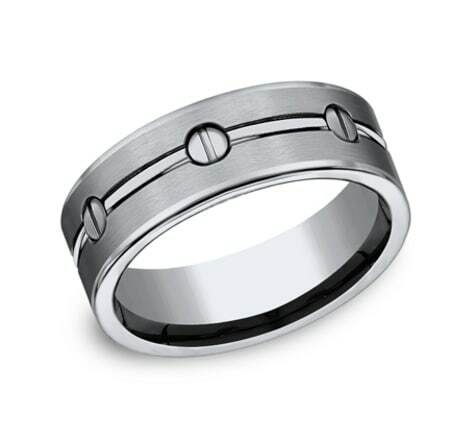 This unique Titanium 8mm comfort-fit satin-finished band features screw-designs along the center for unForgettable style. 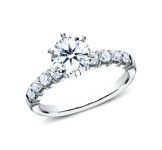 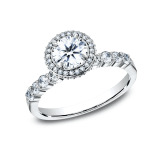 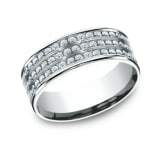 This high polished 7mm comfort-fit Tungsten band features a beveled edge that offers remarkable style. 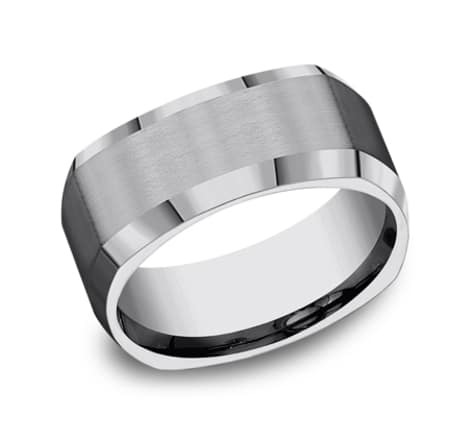 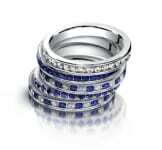 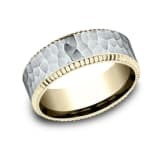 This unique 9mm comfort-fit Tungsten band features a four-sided design with a satin-finished center and polished beveled edges. 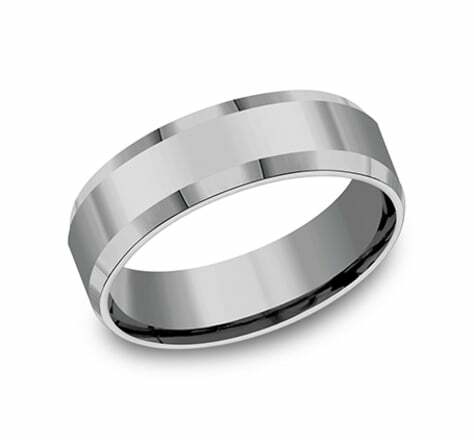 This 7mm comfort-fit satin-finished Tungsten band features strong vertical grooves along the center for a refined, industrial look. 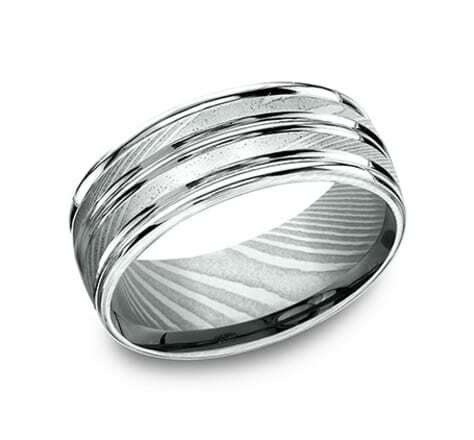 This beautiful Titanium 7mm comfort-fit band features a hammered-finished with a high polished round edge that offers remarkable style. This satin-finished 7mm comfort-fit Tungsten band features two parallel high polished grooves along the center for remarkable style.